The strength of CFSI is its National Advisory Committee (NAC). Composed of 38 trade groups, issue organizations, and professional associations including the leading fire service organizations in the country, the NAC provides a forum where the national fire organizations conduct discussions and develop consensus on important national fire and emergency services issues. During a meeting, any NAC member can submit a resolution that seeks CFSI’s support on an issue. If the NAC approves the resolution, it is presented to the CFSI Board of Directors for final approval. 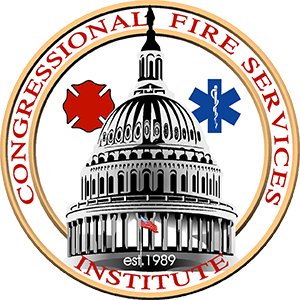 The resolutions process determines the issues that CFSI addresses on Capitol Hill. Only NAC members can introduce a resolution, and a supermajority is required for approval. Funding for the United States Fire Administration and the AFG/SAFER grant programs, reallocation of spectrum for first responders, and greater involvement of first responders in disaster mitigation are examples of the types of issues the NAC has supported at recent meetings. Chief Greg Cade of the National Fire Protection Association is the chairman of the NAC; the vice chair is Ron Siarnicki of the National Fallen Firefighters Foundation. Both the chair and vice chair are eligible to serve two, one-year terms. Open to the public, the meetings are scheduled in the spring (the day after the National Fire and Emergency Services Dinner) and fall of each year.